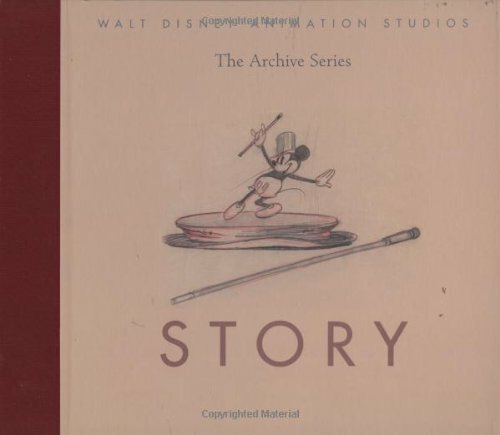 With an introduction by John Lasseter-and very little else in the way of words-this first book in The Artist Series lavishly showcases the most brilliant story artwork created by such luminaries as Bill Peet, Don DaGradi, Joe Rinaldi, Roy Williams, Ub Iwerks, Burny Mattison, and Vance Gerry for such films as Steamboat Willie and Snow White and the Seven Dwarfs to Alice in Wonderland and 101 Dalmatians. The art will be displayed in its full glory with all the notes, flaws, and hole punches that were so much a part of the story development process. Featuring the best examples-many never published before-as well as some pieces by unidentified artists-Story will be the must-have art book for collectors, artists, and Disney fans.